This past weekend I was on Ocracoke Island, NC for a photography workshop. The weather was the best we had had for several weeks. Sunny, warm and with moderate breezes. 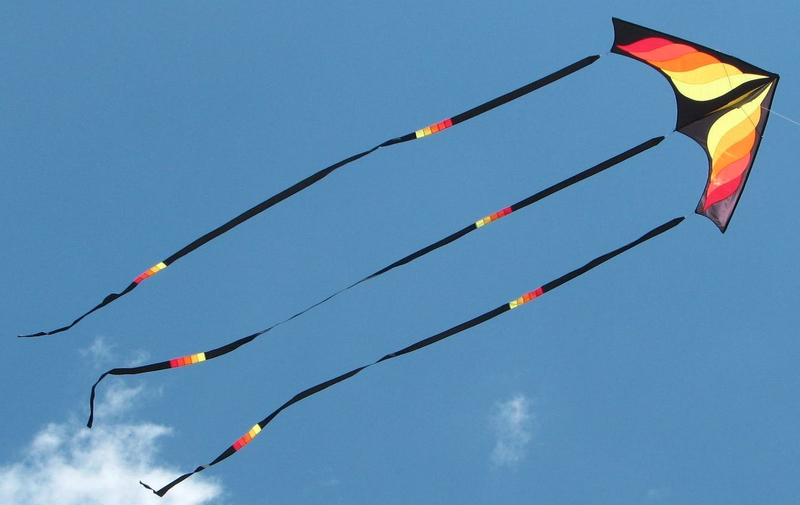 I really hated missing the community kite fly. I also hated the thought of not doing any kite flying at all. Not really knowing what the schedule was going to be for the weekend, I still threw some kites in the back of the truck. Who knows, there might be some free time during the weekend. And, heaven forbid, I not go to the beach at some point. So it was that on Saturday I skipped lunch with the workshop participants and took myself to the beach for a “kite fix”. Since I wasn’t going to have a lot of time, I left the stunt kites behind and only took a couple of the smaller single-line kites. The wind was coming from the east which meant it would be rather turbulent coming off the dunes and going to the ocean. The first kites up were a train of tropical bird kites by Into The Wind Kites. There should have been three but one needed some repair so only two made it into the sky. The only other kite to fly was my Drumbox kite. All the kites would go up for a while and then settle to the sand. But I made the best of it. While I was loading everything back into the truck and preparing to rejoin the photography group, a gentleman walked up to me in the parking lot. He told me he and his wife enjoyed watching the kites and appreciated my efforts. This made me feel so good. And just re-affirmed that a short kite fly is better than no fly at all.